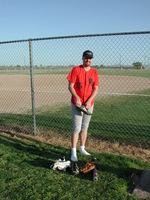 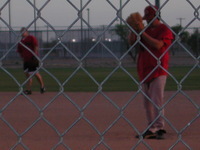 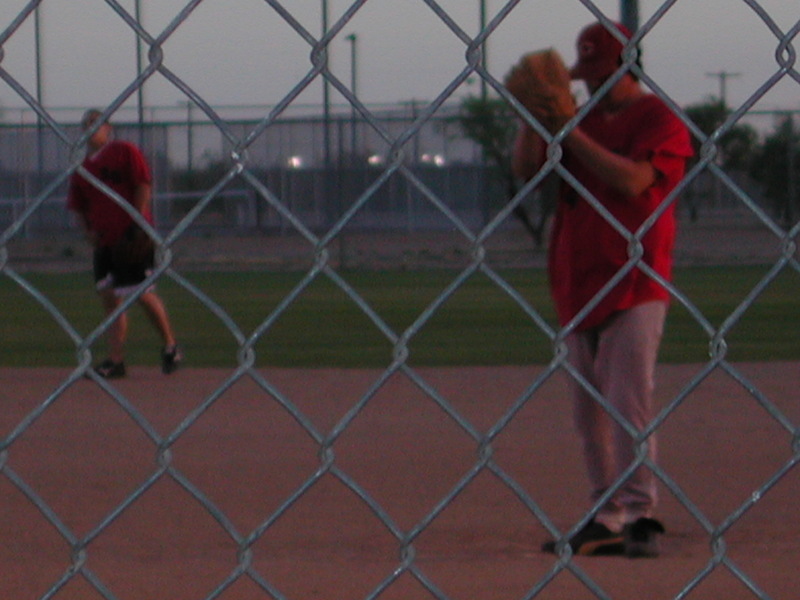 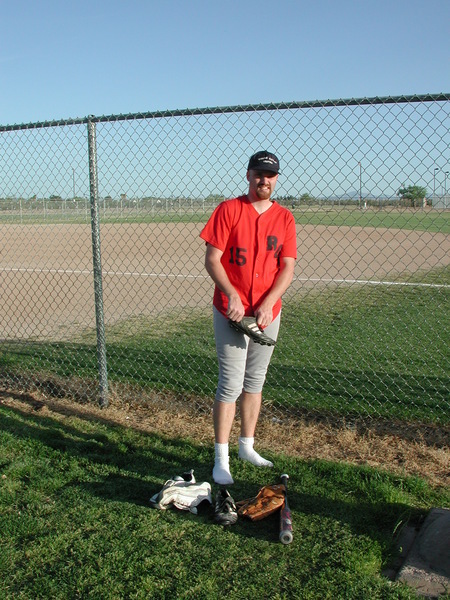 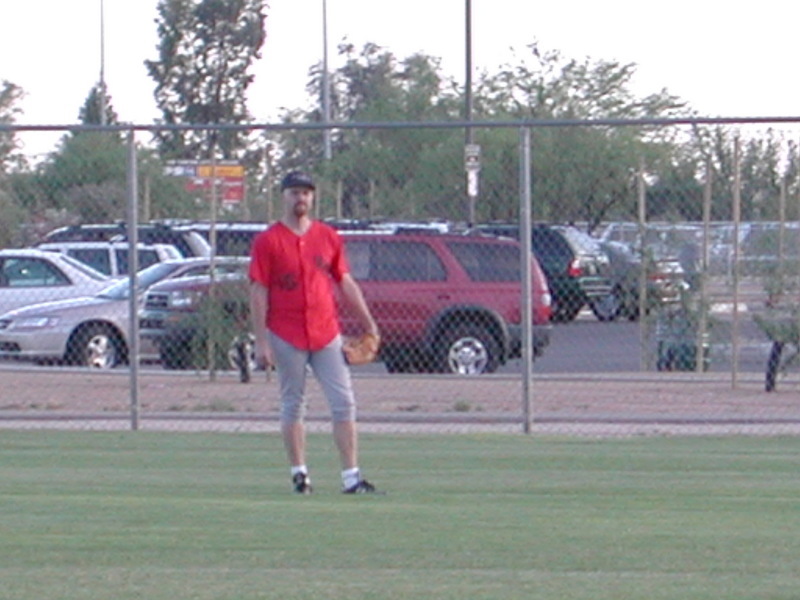 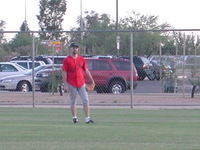 Me fielding a fly ball in practice before the game. 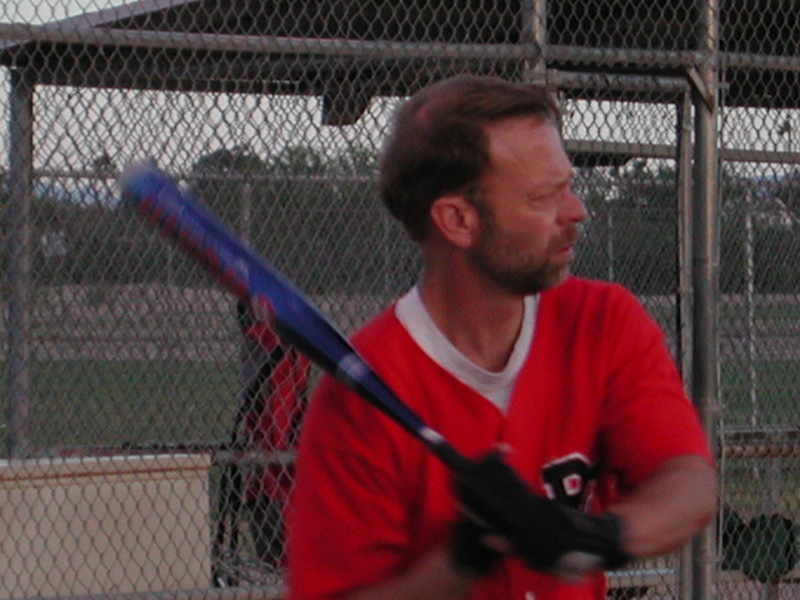 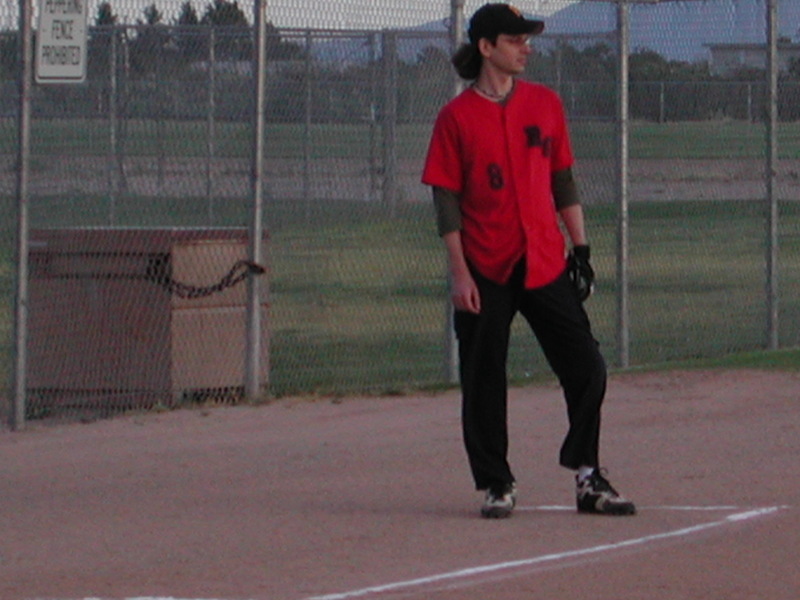 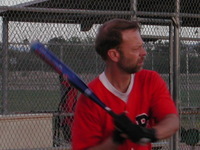 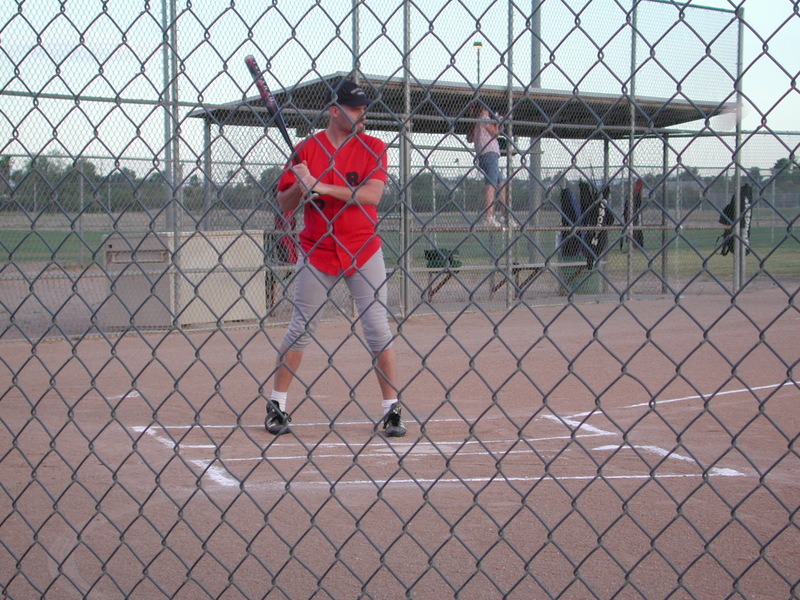 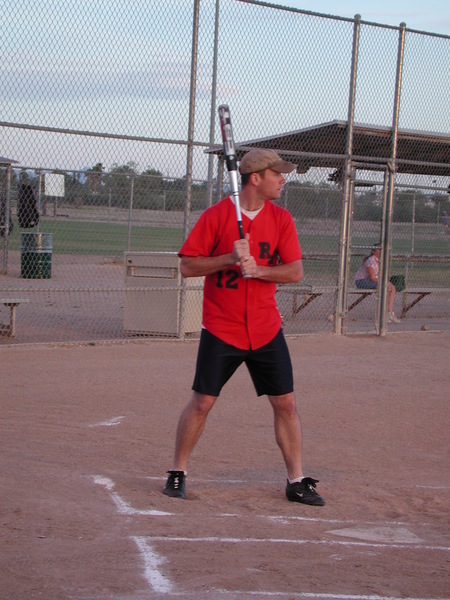 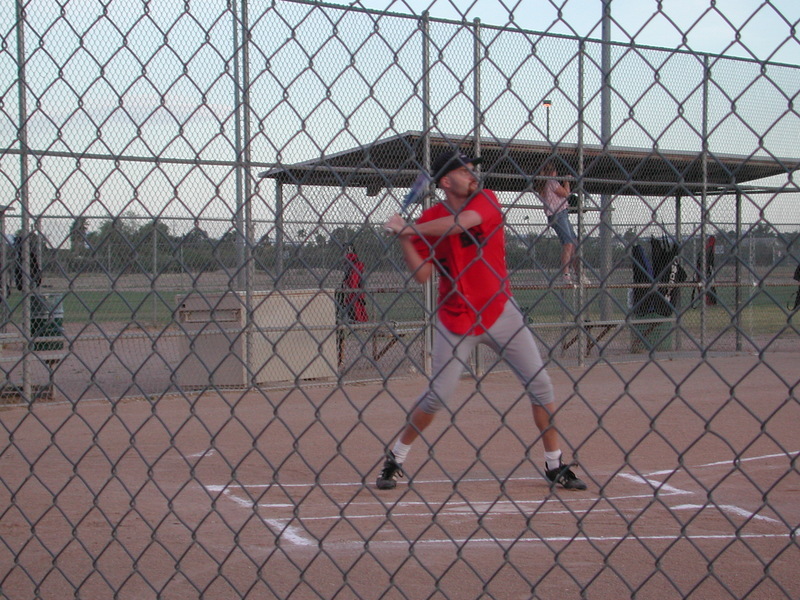 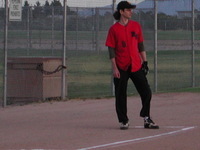 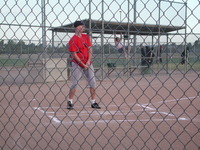 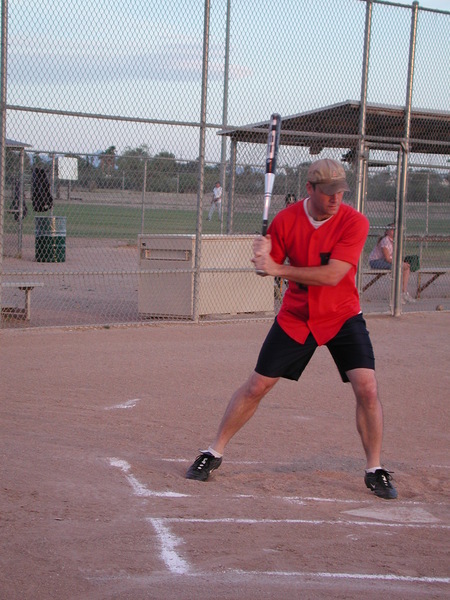 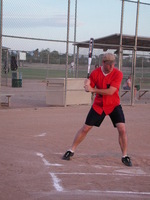 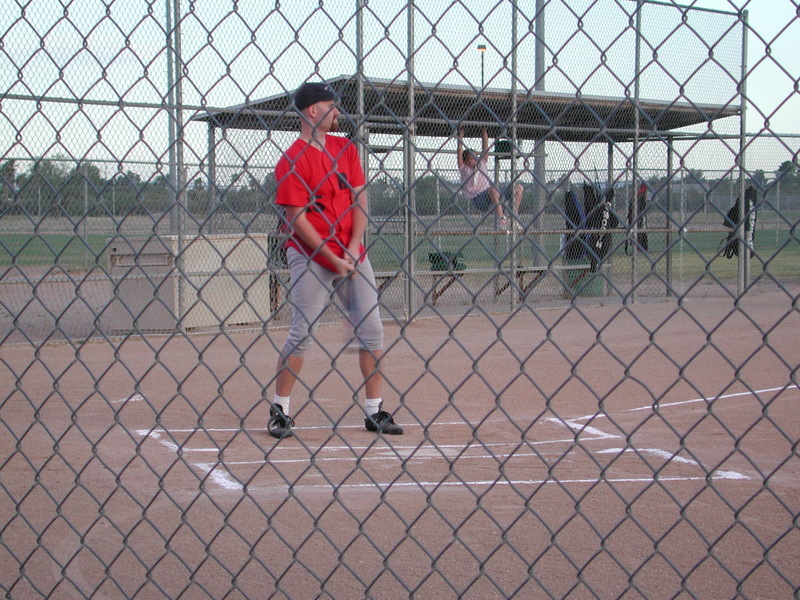 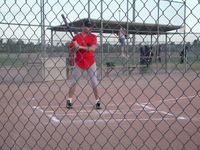 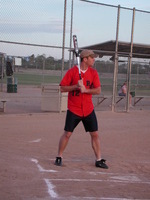 My first at-bat -- a flyball to right that didn't quite get over the right-center fielder's head. 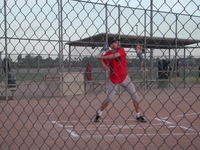 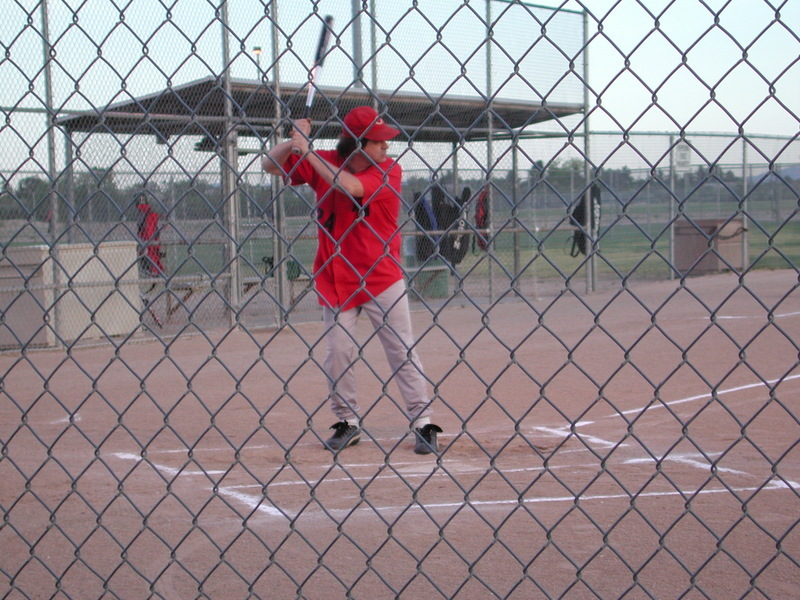 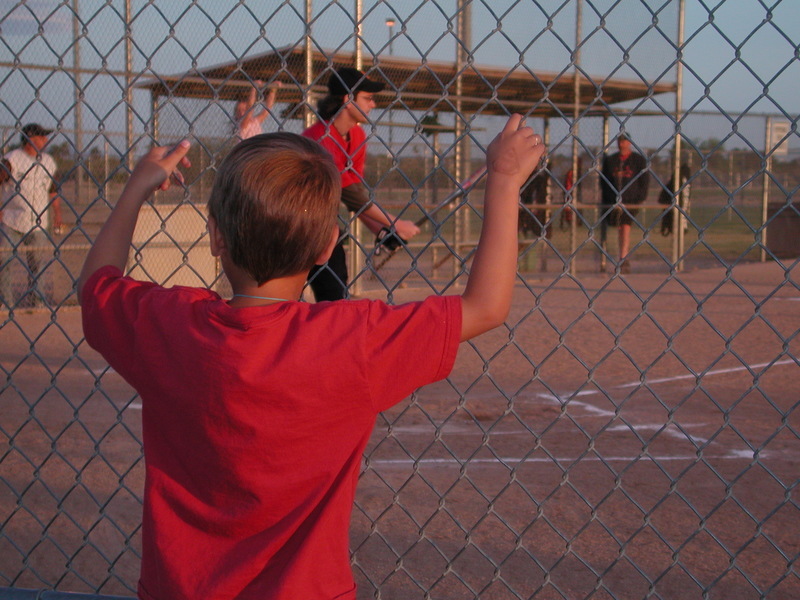 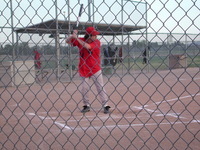 Gwen's video of my second at-bat -- a line drive single to right.